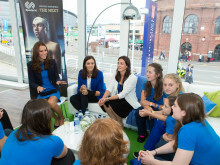 SportsAid is proud to announce today that 241 British athletes who have received support from the charity won medals at the Glasgow 2014 Commonwealth Games. Between them they won 58 gold medals, 101 silver medals and 82 bronze medals. In total SportsAid supported 467 athletes who competed at the Games, with 58 of them receiving their SportsAid Awards this year. 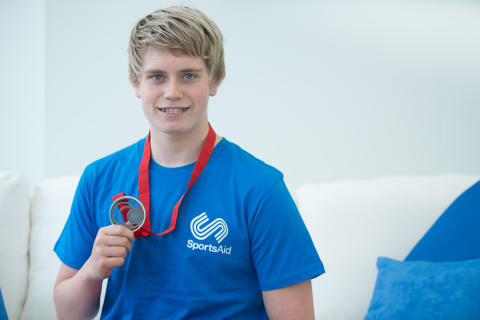 Thanks to a number of breakthrough performances, eight of these current SportsAid athletes won medals at the Games including 15-year-old Thomas Hamer from England (see photo) and 13-year-old Erraid Davies from Scotland in the pool - winning silver and bronze medals respectively - and 19-year-old Jemima Yeats-Brown from England in judo, who won a bronze medal after a last-minute call-up to the team. Of the 467 SportsAid athletes at the Games, those who received support from the Talented Athlete Scholarship Scheme won a total of 43 medals: 18 gold, 23 silver and 22 bronze.